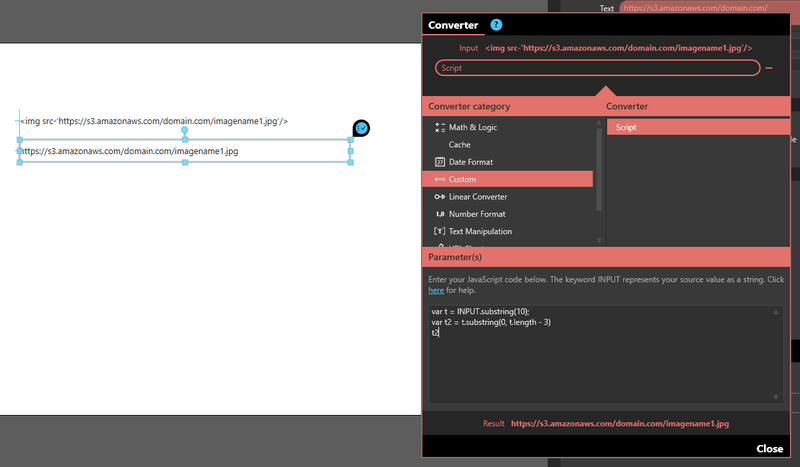 Custom Script Converter: What can you do with it? Following the discussion we had in this thread, I wanted to re-introduce the Custom Script Converter. Although the help center article gives some examples about how to use it, let’s all share in this thread your tips & tricks where this converter made your life easier. I’ll start with the one that enables to trim a text on both hands, based on a fixed number of starting & ending characters to remove. The script below removes the first 10 characters and the last 3 ones. Adapt the figures to your own needs. So, what’s your favorite usage of that converter?